January 12, 1995. Gardiner, Montana. Arriving in crates via horse trailer at Yellowstone’s north entrance, eight wolves are welcomed by schoolchildren bearing flowers, by government officials, wolf people, reporters and ordinary citizens cheering their appearance. It is a moment of triumph for all those who have worked to return the wolf to Yellowstone, for the ecosystem, perhaps for the wolf itself. Yellowstone is, after all, a natural place for wolves. Captured in Canada, radio-collared, trucked into Lamar Valley, transferred to mule drawn sleds for the ride across the meadows between the road and the pen, the wolves (six more arrived on January 19th) were held in one acre acclimation pens until release in late March. A few weeks earlier, a group of journalists were invited to ski out to the Crystal Bench site where biologists Wayne Brewster and Mike Phillips (at the time, Brewster was deputy director of the Yellowstone Center for Resources, and Phillips was Wolf Project Leader) explained to us how they expected the acclimation time to work. With space enough in the pens for several wolves, scattered plywood boxes would allow them to get away from each other. Wild, road-killed game would be delivered to them about twice a week. And, penned or not, they would breathe the Yellowstone air, with its scent of elk and moose and deer and buffalo and everything else that belongs here, until they knew that Yellowstone was home. No one wanted them hightailing it back to Canada. These were our wolves now, and we wanted them here. The chain-link pen walls were ten feet high. Two-foot wide inverted tops, and four-foot skirts at the bottom discouraged jumping over or digging under, keeping wolves in and anything else out. Nobody wanted an inadvertent weasel or coyote or badger trapped inside. Most people thought the wolves would bolt from their crates the minute they were opened, but this group was cautious. It had been a long trip, a lot of vehicles, a strange journey for a wolf. And they didn’t know the story. They didn’t know they were the first wolves in the park in 71 years. 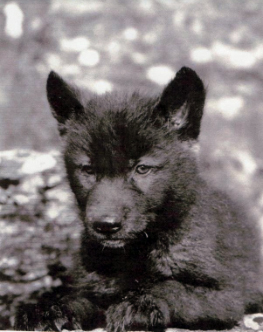 They didn’t know their history, their years of being hunted down only because they were wolves. They didn’t know they’d essentially been exterminated from most of the U.S. Nor did they know how many people across America had been working for years to restore them to their rightful place; working to restore an ecosystem to its proper order. They just knew they’d been caged, carried, and deposited in a new place. They knew everything smelled different. January 12, 2015. Twenty years later, the Yellowstone wolves are doing well. Although numbers fluctuate, for much of the 21st century the wolf population in the Park has hovered around 100. An initial explosion of them into a niche so long empty has settled down to lower numbers, with wolves lost to disease, territorial conflicts, shootings if they leave the Park. Wolf-watchers lining up behind spotting scopes before dawn in Lamar are rarely disappointed. Before the wolves arrived, biologists predicted we would never see them from roads, that few people would ever see them, even in the backcountry, that we would be lucky if we heard them singing. No one imagined the thousands of people who would flock to the Park to see them, or that numbers of them would carry out their lives in front of our scopes. And, although we knew there were people against their restoration, we did not imagine the killing frenzy that, twenty years later, threatens the lives of all the wolves in the Northern Rockies. With Endangered Species protection now removed, hunting wolves outside of the Park is legal. Worse, predator derbies, sponsored orgies of unethical killing, exploit a wanton blood-lust where dead wolves become the goal of louts. 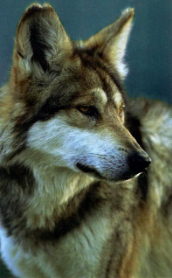 No one has to love wolves to understand their place in the ecosystems with which they evolved. Sometimes I am fearful that the job we once did to rid America’s wild country of wolves can be repeated. And yet, there is a difference between then and now. Now there are many people fighting for the right, indeed, the necessity, for wolves to live, to thrive in those habitats naturally theirs. Serious money goes into that fight. So does good science. Even some traditionally wary people are having another look. 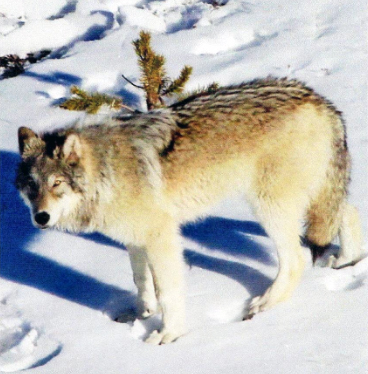 Some ranchers acknowledge that more stock are lost to injury and weather than to wolves. And some, successfully initiating ways to protect their stock against wolves, become predator friendly ranchers. (Their meat brings in higher dollars.) While inept hunters believe wolves will get all the elk, I’ve interviewed hunters who say the presence of wolves increases their experience of wildness, their experience of the hunt. Ranchers and hunters are not the enemy. The people who frighten me are the just plain fearful, the trigger happy, the people who engage in predator derbies, the misfits who use any event as a soapbox to damn whatever politics they currently happen to hate. About a month after the wolves arrived, the same group of journalists who’d checked out the pen beforehand, were invited to ski in again. We were given a few minutes on a small hill about 300 yards from the pen to observe them; the time needed to unload a quartered elk, a piece of deer, from the same mule drawn sleds that had carried the wolves. To me, they looked like big dogs waiting for their dinner. I wanted to see them another way. Dear God, I want to see them forever.